DreamPod 44 is a bit of a departure from the norm, as we were invited to take part in RadioSEGA’s WinterFest 2016 - a celebration of all things Sega, hosted by a multitude of different fan sites and communities. 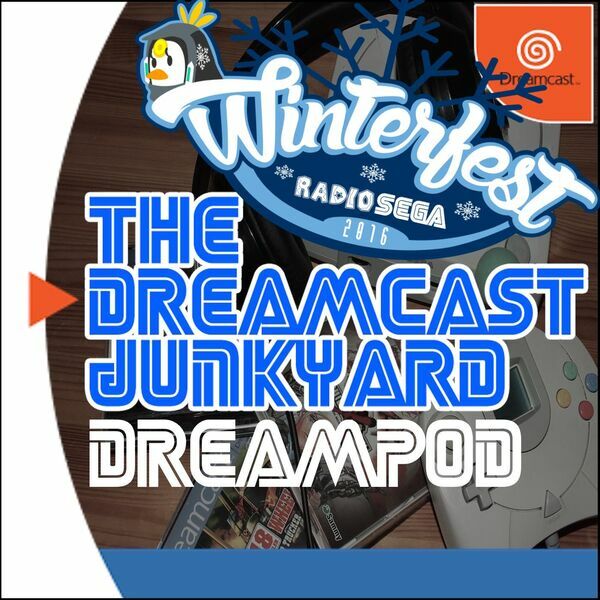 The Dreamcast Junkyard kicked off the three day event on the 16th December 2016 with a special DreamPod where hosts Tom and Mike shared some of their favourite Sega-based music tracks, not all of them Dreamcast-based. There’s plenty of usual chat about irrelevant nonsense too, including Amstrad vs Spectrum, buying vinyl LPs if you don’t have a record player, and how you’re meant to pronounce Richard Jacques’s name. This is DreamPod 44, we hope you enjoy it!